Nestled in the Aravalli Mountains, Ajmer is quite popular as a pilgrimage center for Sufi Saint Khwaja Moinuddin Chishti’s Dargah. 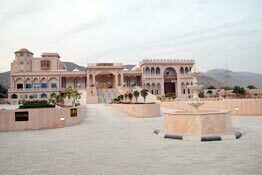 It is also the base for visiting ancient religious site for Hindus, Pushkar. Ajmer, 5th largest city of Rajasthan, was founded by Ajayraj Singh Chauhan in the 7th century. In the course of its history, after Chauhans (Gujjars), Muslims, Mughals, Marathas and lastly British ruled this city. 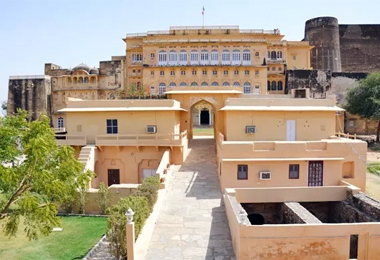 If you are planning a vacation in Ajmer and are searching for a comfortable accommodation option, then without thinking much opt for Heritage Hotels in Ajmer. These heritage properties were former residences, palaces or forts of the erstwhile rulers of the region who sell-off a portion whole of the portion for their maintenance, after abolition of privy purses. The current caretakers of these properties have kept up the same-old charm and grandeur while adding modern facilities for the comfort of today’s leisure and business travelers. In the course of your vacation, enjoy an unforgettable vacation in a royal setting coupled with world-class facility such as restaurants, well-stocked bar, recreational facilities, indoor games, cultural performances, swimming pool, banquet or conference hall, air-conditioner, room service and more. 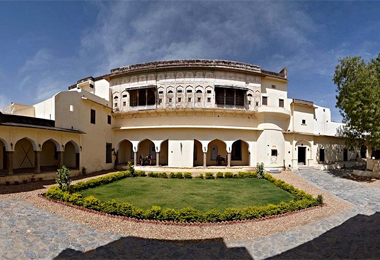 Through Heritage Hotels in India, opt for Heritage Hotels in Ajmer and make a booking from the comfort of your home.